When I searched for zine reviews this week I came up pretty empty handed. I wish more places were out there were we can read zine reviews and submit our zines for review. I have often been scared to send in my zines because most reviews want a zine to fit into a category: per-zine, fictional, art/comic, review...The Stay At Home Girlfriend does not really fall into a category, it is a mixture of everything.The zines I seek out are usually of the same nature. So to fill a void in zine reviews I will go through what I am currently reading or have read recently. I will try to do this as often as possible. 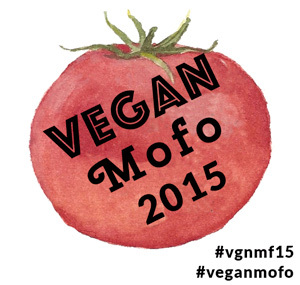 I have linked places were you can pick up the zines/find more info yourself. Mixed up: I bought this (well, actually Matt paid for it) when I was dropping of zines at Down at Lulus's a few weeks back. I picked it up because I am always looking for zines that deal with stuff like immigrants and race issues.I have not gotten through the whole zine but there are some good reads. 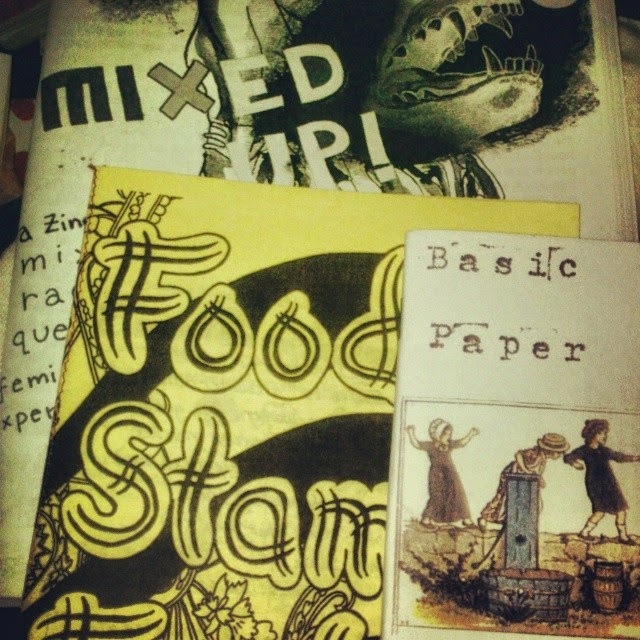 Food Stamp Foodie #3: This is my favorite type of zine - one that mixes vegan foods/recipes and crafts! Each recipe/craft is done comic style and is easy to follow. From making scarves to making cold brew coffee this lil zine packs a DIY punch. Basic Paper Airplane 7: I do not usually go gaga over per-zines unless I can relate to the topic or the voice/person behind the zine grabs me. BPA#7 is a small zine, that I finished in a few minutes on my way to the gym but it was a zine that had impact. Each page is prompted by what appears to be a random thought/memory and a story that follows. Quick little reads that may make you think of your own life or memories. Hey Kendy! I have a stack of zines from the latest zine fest I attended to get through too. Food Stamp Foodie sounds really interesting. I replied to yr comment on my post, but I also wanted to say I'd love to swap teas! I'll throw some zines in too if you'd like. I think I misplaced yr address...could you email it to me again? We don't have aq culture of zines in the U.K, well not that I know off. I am quite envious actually.